A bit more modern than the curent version. 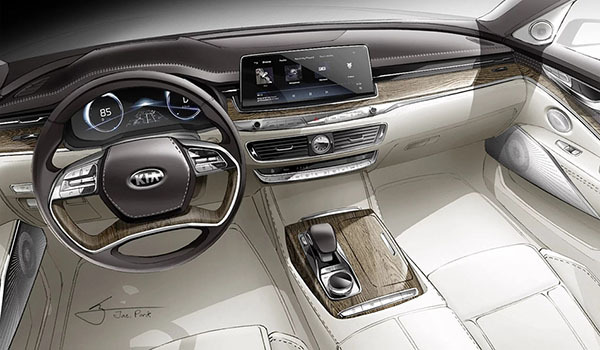 The interior isn't really the problem of the K900. Being an "over $60 000 Kia" is the problem. But really, good for them for trying. Again. Here are pictures of the real interior. As you can see, the teaser above is not really exaggerated. And actually pretty realistic. The digital speedometer was the coolest thing in the concept, too bad that's the only thing that didn't make it. Kia should really consider coming up with a logo in lieu of letters, I don't think people will be willing to pay even 40k with a HUGE KIA name across it. I guess Kia did not learn a lesson from Volkswagens Phaeton. Luxury buyers buy cars for prestige and recognition, as well as quality. A non-luxury nameplate does not provide the status they are seeking. 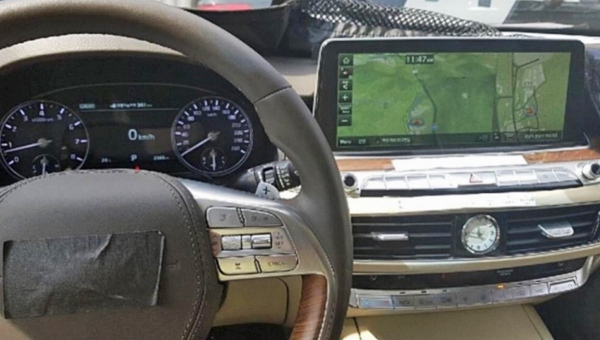 I think the interior already looks better than its sibling, the Genesis G90's. I like the interior. Waiting to see the full reveal of the exterior. So far i'm not impressed with what they've shown so far. If i's nice enough it will make a nice used car that i would consider. 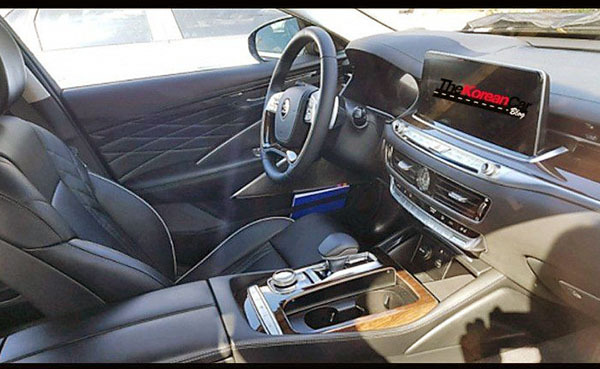 Looks like the Honda Accord Touring interior! They sold like what 10 of these so far?